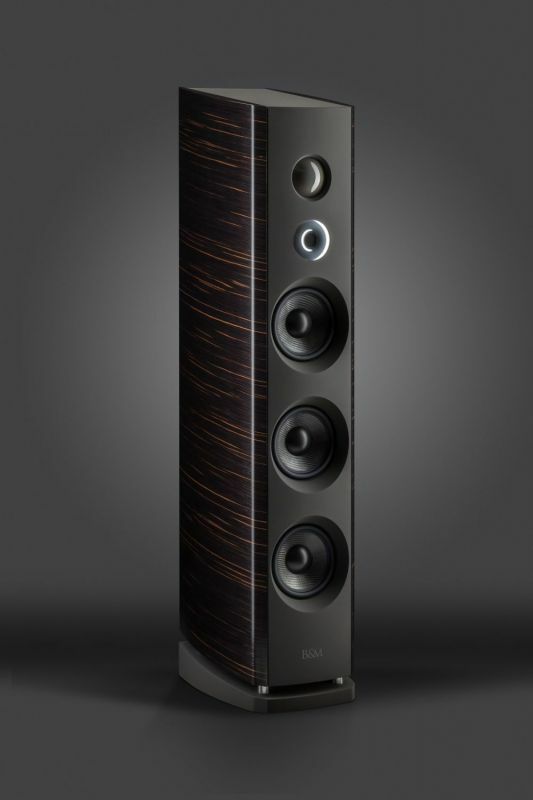 Backes&Müller writes: "With its new BM Prime series Backes&Müller has once again set new standards in the conception and construction of modern HiFi loudspeakers. 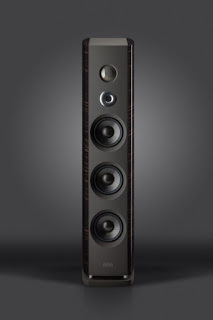 FIRTEC technology, which is known due to the multiple award-winning Line series loudspeakers, is being used for the first time in the current Prime line. The “time-aligned” reproduction technology developed by Backes&Müller is therefore now featured in the Prime models offering a new standard of music enjoyment. In connection with the B&M proprietary DMC membrane control, the Prime models build a holographic-plastic stage in front of the listener, which was hitherto only known in Line series models. Backes&Müller was a pioneer on the market with this type of sensor regulation 40 years ago and elevated loudspeaker reproduction to a new level of quality. In the last two years we were able to increase the precision of DMC membrane controllers by a factor of 4 again via new computer supported developments (patent pending) and connect it to our FIRTEC equalisation. We have thus created a world-wide unique phase linear music reproduction from the deepest bass to the highest treble without design-related limits in the desired listening volume. This brings the listener truth in the reproduction with even more information and pushes the listening experience close to the veracity of live events. The design is extraordinary without any extravagance, unpretentious and suitable for every living ambience with our broad palette of different finishes and surfaces. 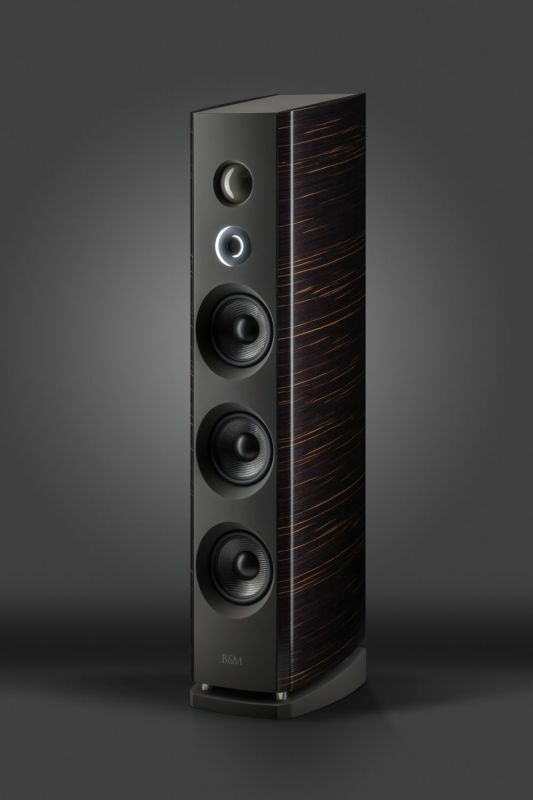 Whether in fine veneers or timelessly elegant black or white, a Backes&Müller Prime series loudspeaker is a statement of good taste in every home. In spite of its pioneering role in modern signal processing no technology is evident, not a screw nor a clamp in sight; nothing that could disturb the design of our timelessly beautiful sound furniture. The materials used for the inserted chassis are chosen from an acoustic-optical point of view, nothing may only look or sound good and we seek the perfectly balanced combination. 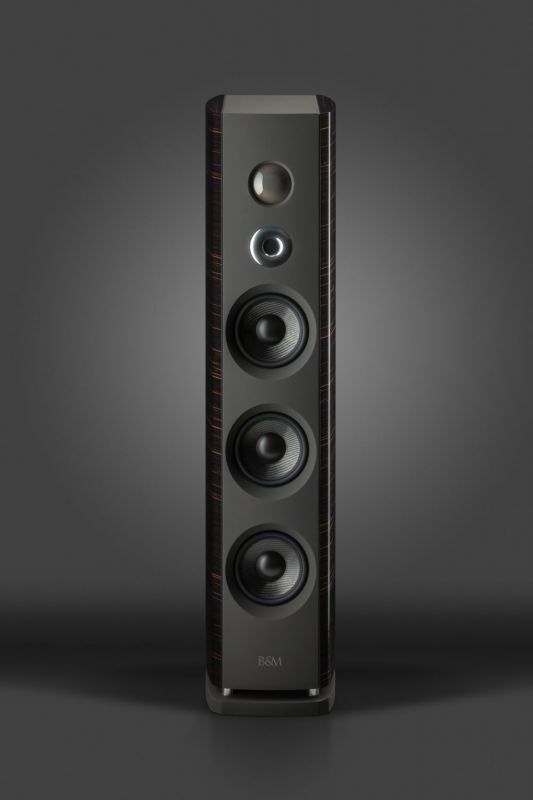 Thus the treble driver of the BM Prime series models must not only be extremely performant with plenty of reserve, it sits in an aluminium cylinder that has been worked out of a solid block of aluminium by high-gloss turning technology. 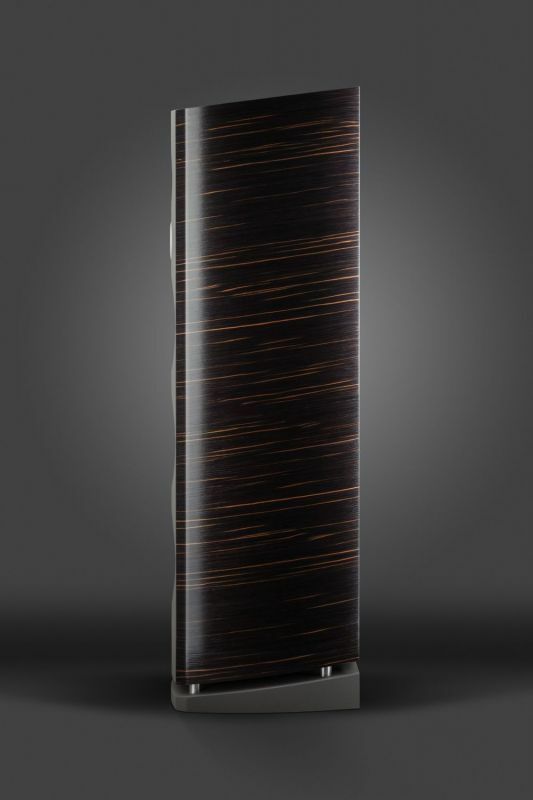 This cylinder leads to three advantages in one workpiece: The surface is formed to a waveguide, which makes the cabinet edges of the loudspeaker invisible for the high frequency range. The solid material gives the driver an exact fit without any play or tolerances whatsoever. The surface of the visible part of this aluminium block is extremely distinguished through the polishing and sealing and gives the loudspeaker an unmistakeable look. The mid-tone calotte chassis is also a B&M in-house development; the calotte is deep-drawn in our factory and the surface is sealed with a complex varnishing technique. In connection with the driver we have succeeded in creating a middle-tone chassis of our own quality class whose transmission band transforms music into sound quasi feature-free without any resonances or decaying oscillations. In this way, many details in the construction of the new BM Prime line are dictated by best performance in the best look."